Hurricane Florence is projected to be very devastating to parts of the east coast, so please remain vigilant. Our region is projected to be directly impacted by the storm sometime Thursday, however that does not mean we won’t see winds and rain increase before then. Keep in mind our region has experienced an extremely high level of rain this year and the ground is saturated with the rain we have experienced this weekend. Depending on the intensity of the event, we could possibly see evacuations from the Eastern Region to our region. If that occurs, the Northwest RHCC will assist the Eastern RHCC in identifying beds for patients and/or residents. We will continue to provide updates as we receive them. VDH and VHHA activated an event in VHASS at 10:26am this morning. The request is for all healthcare organizations to post their situation in VHASS during the required situational reporting times. At this time, the Situation Report (SITREP) times have not been established. Once they are, we will alert the region. Completion of the SITREP allows the Emergency Support Function (ESF) #8 desk at the State Emergency Operations Center to compile the SITREP and provide it to VDEM. Please begin thinking about and making preparations for the pending storm. This should include ensuring generators are tested and the fuel tanks are full, supply chains are contacted to ensure deliveries of needed supplies and equipment will continue, ample medications are available, staffing plans are developed, and contact lists are up-to-date. For road conditions you can check 511 Virginia. Please see the information provided by VDEM in this update; there is a Public Information Statement specifically for our region. Should any of the healthcare organizations need assistance, as always contact your local emergency manager and inform the RHCC too. If the local emergency manager is unable to assist you, the RHCC will coordinate additional assistance as needed. Additional information that was provided by VDH yesterday is posted under the VHHA/VDH heading in this post. Wow! Our website has reached over 1,300 viewers. Let’s keep it going by informing anyone who has an interest in the Regional Coalition and the information we provide. Following the recent nerve agent poisonings in the United Kingdom, the emergency response community has requested information and advice to enhance preparedness. 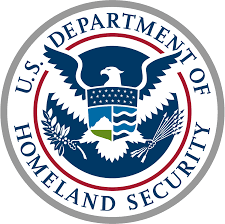 The U.S. Department of Health and Human Services’ Office of the Assistant Secretary for Preparedness and Response, Department of Homeland Security’s Countering Weapons of Mass Destruction Office, and Department of Transportation’s National Highway Traffic Safety Administration Office of Emergency Medical Services have prepared “Nerve Agent Information for Emergency Medical Services and Hospitals,” which serves as a refresher on standard protocols for recognizing, treating, and protecting oneself from nerve agent exposures. The document also compares and contrasts the clinical effects of nerve agents and opioids as an aid to distinguishing nerve agent exposure from the prevalent opioid overdose cases. Comprehensive follow-up guidance incorporating lessons learned from the United Kingdom incidents will be forthcoming. Under the Food and Drug Administration’s (FDA) April 2017 draft guidance Extending Expiration Dates of Doxycycline Tablets and Capsules in Strategic Stockpiles, the first two-year extensions were authorized by FDA on August 22, based on a request received from a stakeholder that tested five lots of its properly stockpiled doxycycline for anthrax preparedness. The same extensions of these five lots will apply to any government stakeholder (as defined in the draft guidance and extension memo) that is properly holding the same lot numbers. For more information, please visit FDA’s Medical Countermeasure Dating Extension webpage. Details of the extension authorization of the five specific lots of doxycycline are included in FDA’s extension memo issued on August 22. On Thursday, August 30, the Office of the Justice Programs’ Bureau of Justice Assistance held a screening event for Fentanyl: The Real Deal. They provide an overview of Fentanyl Safety Recommendations for First Responders and a companion training video, Fentanyl: The Real Deal, in the attached document. They answered frequently asked questions from screening attendees and discussed safety measure recommendations for first responders to take in the event of an emergency. Watch the video here. Each year, September is recognized as National Preparedness Month (NPM). NPM is a time to prepare for disasters and emergencies that could affect us where we live, work, go to school, worship, and visit. Make a Family Emergency Communication Plan: Have all members of your household keep a fillable plan card in their wallet, purse or backpack. Get to know your neighbors: check with each other before and after a disaster and include neighbors in your emergency plan. Sign up for emergency alerts to receive life-saving information from your state and local officials. Have regular household meetings to review and practice your plan. Get more information and resources including the social media toolkit, graphics, and tips on promoting National Preparedness Month by visiting www.ready.gov/september. This 49-page report captures lessons learned from the 2017 Hurricane Harvey housing assistance mission, and makes 18 policy recommendations at all levels of government with the primary objective of better protecting Texans in advance of the next disaster, and improving subsequent recovery efforts. It includes an emphasis on policy proposals focused on protecting homes and businesses against future disaster risk. This 61-page report evaluates the strengths and areas for improvement observed during the response to the October 1, 2017, mass shooting at the Route 91 Harvest Festival in Las Vegas—both to enhance the internal response capabilities of the Clark County Fire Department and the Las Vegas Metropolitan Police Department, as well as to share the knowledge gained from this incident with public safety agencies from across the country to assist in their preparedness efforts. The report was compiled by the Clark County Fire Department and the Las Vegas Metropolitan Police Department in collaboration with the Federal Emergency Management Agency National Exercise Division. This three-page document describes how the New York City Department of Health and Mental Hygiene, following Hurricane Sandy in 2012, developed three programs to strengthen emergency management capabilities in long-term care facilities. It used funds received from the Office of the Assistant Secretary for Preparedness and Response’s Hospital Preparedness Program. The report details the three programs, steps taken, results, and lessons learned. All models suggest significant impacts to Virginia; however, the forecast models still have a relatively high degree of uncertainty. Several models are available at https://www.nhc.noaa.gov/ such as wind speeds, the potential track, and other important information. In addition to Florence, several other storms are right behind which may pose significant impacts. To view the latest weather details of Tropical Storm Florence, click here. VDEM held a call Sunday morning September 9th for core Virginia Emergency Support Team (VEST) agencies to discuss the storm and state level preparations. Many regions will be holding additional calls to discuss preparations Sunday and Monday. As of September 9th, the forecast shows the 220 mile wide storm will hit Central North Carolina coast and may dump more than 20 inches of rain on coastal and central Virginia, combined with strong winds. A shift in this path could present more significant impacts to Virginia. 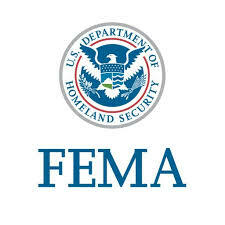 The Governor has issued a Disaster Declaration, and VDEM will likely be recommending to the Governor evacuation orders for some of the zones identified under the “Know Your Zone” program. 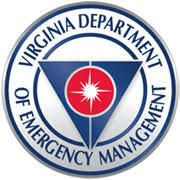 In addition, VDEM will be encouraging all localities to consider sheltering preparations for displaced residents. This storm has the highest potential to impact our Eastern, Central and Northern Regions (VDEM 1,5,7). We have significant concerns regarding the possibility of impacts on the Eastern region, with the possibility for healthcare facility evacuation. This serves as a reminder to begin thinking about patient or resident evacuation and receiving of those patients or residents, and general preparedness. Should facility evacuations be necessary, it is likely that all coalition across the state will have a role. Please coordinate any response activities with your local Emergency Management and Public Health Partners. Early evacuation is preferable. We wanted to draw everyone’s attention to a Public Information Statement we just issued regarding some early considerations for landslide potential should the track of Florence move into or close to the Appalachians. This does not mean it WILL happen, but as the potential for a more inland track increases we wanted to make sure some of these preparation considerations are communicated well ahead of time. If and when it is time for headlines, we will include more preparation statements for flooding, flash flooding, and landslide potential if indeed it becomes even more likely that extreme rainfall will occur. Here is the link to the statement. In addition, we wanted to remind everyone that should it become necessary, our office, along with offices to our south, will be issuing tropical headlines (such as Tropical Storm Watch or Warning) if wind speeds are likely to exceed tropical storm force, rather than high wind warnings or wind advisories as we have done in the past. Those could begin as early as tomorrow or Wednesday. Safety-related requirements continue to plague hospitals, according to The Joint Commission’s latest list of most-cited standards data through the first six months of 2018. Released in the September issue of Perspectives, the data was aggregated from 676 applicable Joint Commission hospital surveys from January 1 through June 30. 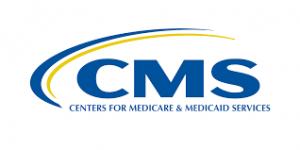 See the September Perspectives for lists of the most-cited standards for critical access hospitals, home health, nursing care centers, and other Joint Commission certification programs. You mentioned “Know your Zone” in this weeks briefing. Where can I find more information about it? On June 1, 2017, Virginia launched new tiered evacuation zones for coastal Virginia developed in close cooperation with local emergency managers throughout Hampton Roads, the Northern Neck, the Middle Peninsula, and the Eastern Shore. These zones are based on the most up-to-date engineering data for the region. The zones are designated A through D and will provide residents with a better understanding of whether they should evacuate in an emergency or shelter at home, based on their street address and the nature of the emergency event. Avoiding unnecessary evacuation travel will reduce traffic congestion, promote highway safety, and lessen overcrowding at storm shelters. The new zones enhance the current evacuation plans and routes already designated in coastal Virginia. When a serious storm is expected to impact Virginia’s coastal region, state and local emergency managers will work with local news media outlets that will broadcast and publish evacuation directives to the public. What do residents need to do for the new tiered evacuation zone plan–it’s simple. You just need to Know Your Zone. To find out which zone you live or work, click here. The Know Your Zone website displays a detailed, interactive, color-coded map showing the new evacuation zones. People can use the new map to view a “big picture” of the region or zoom in to their neighborhood. Users can enter their address in a search bar to see their designated evacuation zone. If you have questions about your area’s evacuation zones, contact your local emergency manager. While those who live and work in the Northwest Region are not in a hurricane evacuation zone, we are the potential receivers of evacuees.